Argentina has taken the politically drastic step of calling in the International Monetary Fund for help, and is clearly in deep trouble. What does this mean for other emerging economies, particularly those in our region? 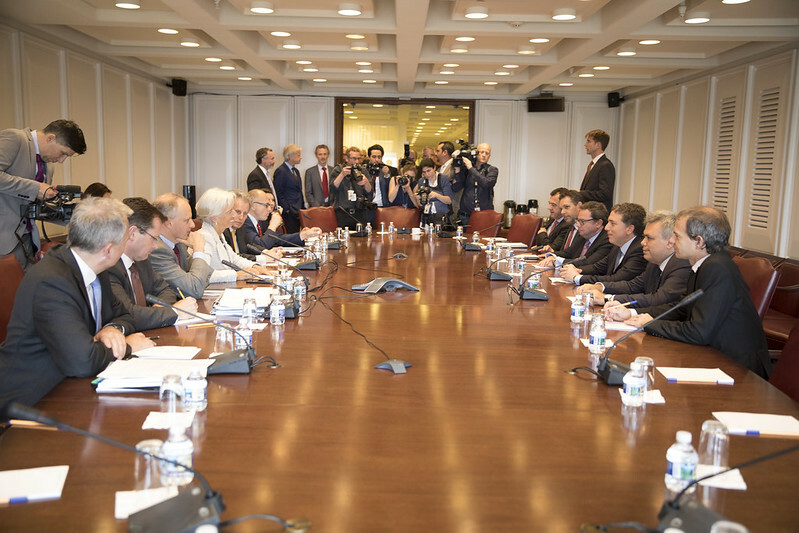 IMF Managing Director Christine Lagarde meets Argentine Treasury Minister Nicolas Dujovne in Washington on 10 May. At the centre of this enduring narrative is the fickle nature of international capital flows. In Asia, capital flooded in before the 1997 crisis and then surged out suddenly. Argentina is experiencing a variant of the same whipsaw. Compare Argentina’s current plight with the lessons Asia took from the 1997 crisis. In Indonesia, a deep recession and spectacular exchange rate fall were needed to switch the current account from deficit to surplus, eliminating the need for foreign capital inflow for several years. 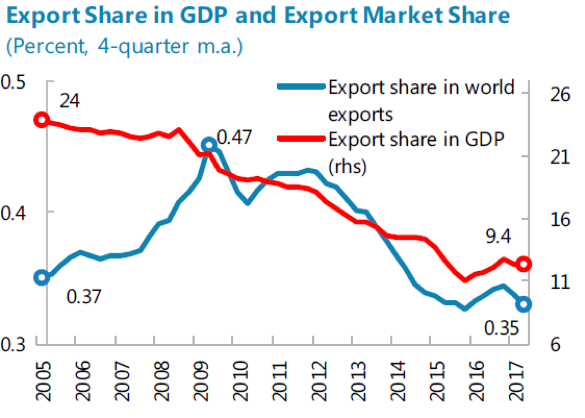 Since then, Indonesia has been careful to prevent the current account deficit from exceeding 3% of GDP: policy is routinely tightened to slow growth whenever this benchmark is approached. The budget deficit is similarly held in tight check. Indonesia borrows overseas to fund its external deficit, but much of this borrowing is denominated in rupiah (foreigners hold around 40% of rupiah-denominated government bonds). Following the 1997 crisis, Asian countries have allowed their currencies to depreciate when necessary to retain external competitiveness. They have used periods of upward pressure on exchange rates to build up foreign exchange reserves and resist over-appreciation. The deep post-crisis recession halted inflation in its tracks. Overall, the Asian crisis countries have been prepared to live more modestly since 1997, with growth around 5% rather than the 7% that was normal before the crisis. Contrast this with Argentina. There was a searing crisis in 2001, but populist governments then frittered away the opportunity for reform. It is an economic aphorism that crises provide the opportunity for change. The inflation problem was addressed by fiddling the official statistics. Even since President Mauricio Macri’s market-friendly government took over late in 2015, the pace of reform has been sedate, constrained by politics. Macri began with a big depreciation and resolved foreign-debt disputes, which set the scene for a return to foreign borrowing. Foreigner lenders responded, perhaps too eagerly. The budget deficit was readily funded by borrowing overseas in dollars (rather than borrowing at home in local currency), including a headline-catching 100-year bond in 2017. While the nominal exchange rate was depreciating steadily (and more quickly recently), inflation has outpaced this decline, eroding international competitiveness. The IMF estimates that the peso is overvalued by 10–25%. Exports have fallen from 24% of GDP in 2005 to 9% now, and the current account deficit is 5% of GDP. Now the inflows that funded this external deficit have dried up. If a country can’t attract new foreign capital, has to repay existing foreign debt as it is due, and must cope with outflows from nervous residents, it needs ample foreign exchange. The central bank still has reserves, but not nearly enough. Raising interest rates (which has been done, to 40%) is necessary but not sufficient. When the market thinks the exchange rate might fall further in the near future, no interest rate is high enough to offset this short-term expectation. Tweaking the budget still leaves the overall deficit at around 7% of GDP, with depreciation adding to government debt servicing. There is no painless way out. Will this crisis trigger a wholesale retreat of foreign capital from all emerging economies? Argentina’s problems will be high-profile, as it is the current chair of G20. Market participants can behave like lemmings, shifting overnight from glib over-optimism to deep pessimism, driven by algorithms rather than real-world analysis. And there are other economies (notably, Turkey) that are similarly vulnerable because sensible economics has been ignored. But in our region, the lessons of 1997 have been fully absorbed and incorporated into economic conservatism. “Normalising” America’s monetary policy might justify exchange rates fluttering a few per cent as emerging economies adjust. 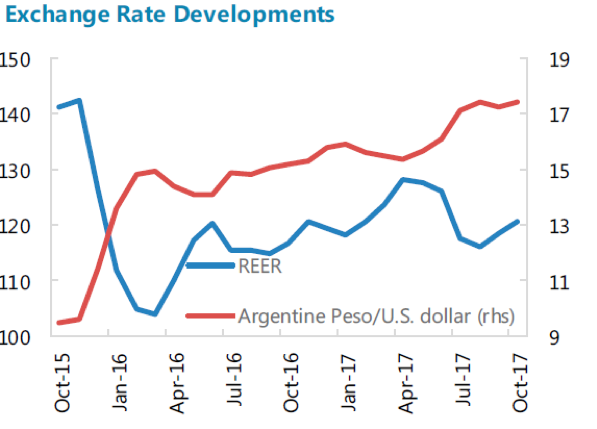 But it would be a serious indictment of financial-market efficiency and maturity if global investors can’t distinguish between the policy deficiencies which led to Argentina’s current predicament and the sensible macroeconomic policies which prevail in the emerging economies of Asia.